Join us for the annual Big Barn Beer Fest – a great event for an even greater cause! Your ticket includes unlimited sampling of over 100 of the region’s best craft brews, live music, and food buffet. This event typically sells out quickly – so grab your tickets before it’s too late! All proceeds from the event will support the Lake Area United Way and local NWI food pantries. We also invite guests to bring a non-perishable item for donation upon entrance into the event. In 2018, County Line Orchard was able to donate $25,143.63 to these causes, and we hope to surpass this for 2019! 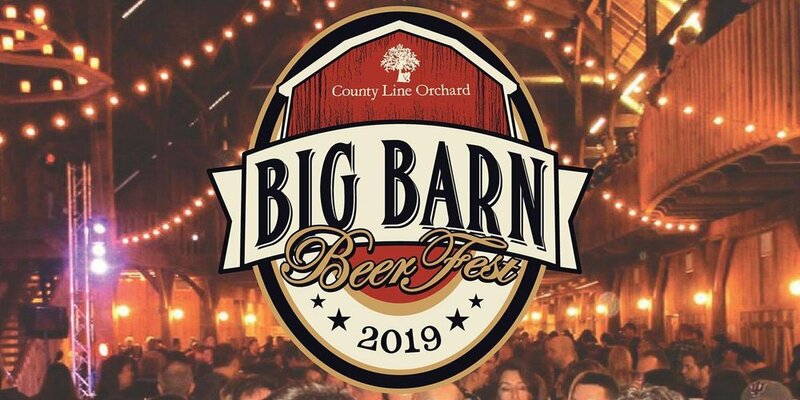 We are looking forward to another successful Big Barn Beer Fest. Cheers!